Excellent opportunities exist for software designers and developers who want to use their talents to create impactful tools for teachers, school leaders, students, and their families. Our goal is to connect you to the resources needed throughout the cycle of a project – from concept ideation, to generating seed funding, to research and development and evaluation, and ultimately to scalable impact in education. This guide for developers, startups and entrepreneurs addresses key questions about the education ecosystem and highlights critical needs and opportunities to develop digital tools and apps for learning. Our Education Innovation Clusters work encourages partnerships between researchers, entrepreneurs and schools for developing new technologies. Video games are important learning tools that provide immersive, interactive, and creative spaces for students to learn and explore in the 21st century classroom. ED is committed to fostering the broader adoption of high quality games in schools and informal learning settings. 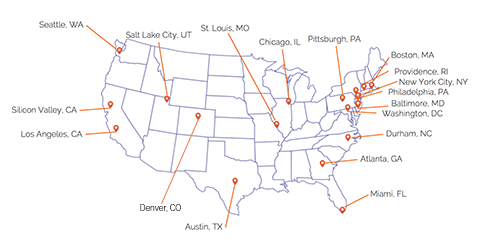 Join us on the National Ed Tech Developer’s Tour! Innovation clusters, incubators, and accelerators across the country will host events designed to ignite collaboration among entrepreneurs, developers, educators, funders, and students to work together to solve persistent problems in education. 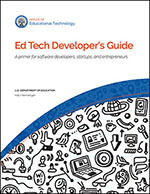 In addition to exciting local programming, each event will feature an in-depth discussion of an aspect of the recently released Ed Tech Developer’s Guide. If you can’t make one of the tour events, don’t worry! We will also host a series of Google Hangouts highlighting the Guide and expanding the discussion nationwide. Follow #edtechdev for updates as we hit the road. SBIR provides research and development funding to stimulate the small business sector and accelerate creation of technological innovation. The US Department of Education participates – along with 10 other Federal agencies – to support for-profit small business firms and their partners. The ED SBIR program provides awards for prototyping and scaling of commercially viable products that reimagine learning experiences. There is also a separate category which focuses on assistive technologies and is administered by the National Institute on Disability and Rehabilitation Research (NIDRR). The Privacy Technical Assistance Center, working with the Department of Education’s Family Policy Compliance office, recently released a framework for edtech tools’ Terms of Service Agreements. This document is intended to assist users in understanding how a given online service or app will collect, use and/or transmit user information so that they can then decide whether or not to sign up. It is recommended that developers align their Terms of Service Agreements with these best practices. Looking for an incubator? This list of incubators from EdSurge lists organizations that help new startups get off the ground with capital, mentorship, and connections.